Whew. 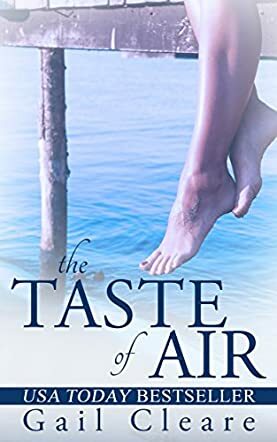 The Taste of Air by Gail Cleare caught my attention from the moment I began to read it. What begins to unfold from page one is a captivating story filled with mystery, suspense, love, longing and family. As I write this review and begin to relive the story once again, my eyes are filling with tears. This is a book that I have told many people about already, recommending it to all of the book lovers in my life, because I have the hope that it will stay with them like it did with me. The writing was emotional, the scenery was imaginative, and each plot point revealed was mesmerizing. From beginning to end, I was wrapped up in this story and I found myself trying to prolong the ending, not wanting the story to close, but finding myself far too curious to leave this down for long. The story of two sisters and their mother that unraveled throughout this novel was actually breathtaking at times. From love and war to secrets ready to be uncovered, each little piece played a pivotal part in how this entire book came together. It was wonderful watching the personal journeys of Nell and Bridget, two very different sisters yet also alike in so many ways, as they tried to find their own happiness amidst their mother’s sudden illness. Their bond was a comfort to me as I read. Overall, I hope you can see that I truly loved this story filled with plot twists and unpredictable moments, so get ready for a wild ride. I promise you it’s worth it, though. The Taste of Air by Gail Cleare is a poignant tale not to be missed.